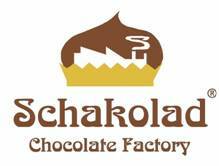 Schakolad Chocolate Factory – Chocolates To Live By. Schakolad Chocolate Factory (pronounced shaq-oh-LAD) is one of the truly custom retail chocolate boutiques in the business. Our chocolates are “Made Fresh on Premises” using a tried and true three-generation European style family recipe that calls for the highest quality ingredients and attention to design detail. The “Made Fresh on Premises” concept means that chocolate items do not come pre-packaged from Headquarters, rather that items are prepared and dipped at each individual retail location allowing our franchise owners the flexibility to be creative and customize our fresh products to the customer’s request. 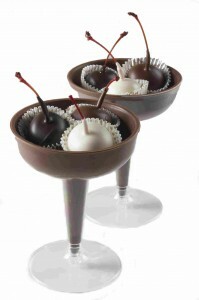 It’s a relationship business crafted around chocolate. Each location offers over 70 different varieties of truffles as well as custom chocolate creations, holiday and special occasion molded novelties, edible photos & frames, creative gift baskets and sugar-free, low-carb options. 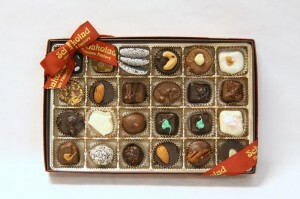 Schakolad Chocolate Factory offers handmade gourmet chocolates specializing in: Corporate logos, gift baskets, wedding favors, sugar free chocolates, European style truffles, and over 1000 different chocolate shapes. We offer tours and fieldtrips by appointment, and “Sweet Night Out” events for adults.